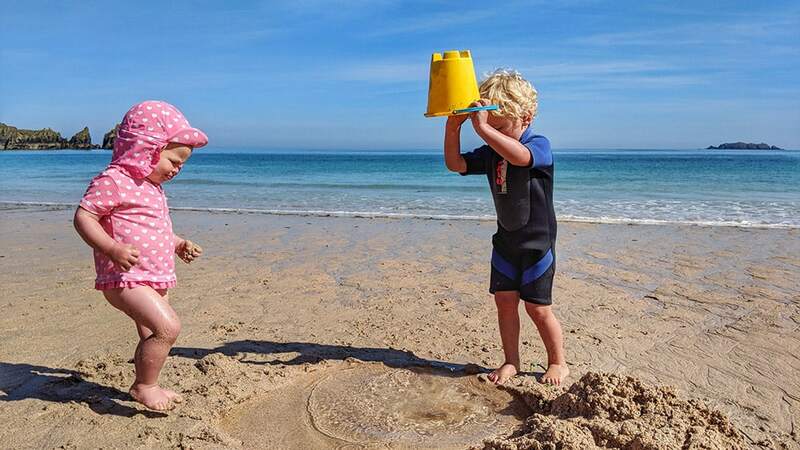 It’s looking like we’re in for a long, hot summer, and that means plenty of memorable beach days up and down our glorious West Country coast. Hack: Use an old bottle of sunscreen lotion, carefully slice off the top, place your valuables inside, then slide the lid back in place to create a secure and discreet stash for your essentials. This covert technique can be applied to any number of everyday cartons and containers, with some lifestyle hacks even suggesting a bogus dirty nappy. Problem: How many of you have returned from a game of Frisbee or a refreshing paddle to find your carefully laid towel looking like it’s been caught up in a sand storm? Hack: To keep the sand off your towel, use a fitted bedsheet to create your very own cotton corral, keeping the elasticated corners taut with your bulkier items. Problem: Your little beach babes have been running riot in the dunes and having the time of their lives and now need a shady snooze somewhere comfy and secure. Hack: Dig a shallow baby bunker and line it with a soft towel and hey presto you’ve got a cosy, wriggle-proof snuggery all set up for a blissful snooze. Problem: It’s time to slip some clothes back on, but first you’ll need to dust off all the wet sand both you and your fellow beach tribe have collected, the trouble is, it’s everywhere! Hack: Fear not. A quick sprinkle of baby powder will dry out the moist sand and see it dust off with a simple towel down, and that means no more rub rash! Problem: There’s nothing more refreshing that an ice-cold drink of water on a hot summer’s day…not so reviving when it’s lukewarm. Hack: A little bit of pre-beach prep will see you right. Fill up your water bottles and store them in the freezer overnight to help keep them chilled for tomorrow’s seaside excursion. Problem: You’re packing up all your beach gear and your bits ‘n’ bobs are sandier then a bricky’s van’s footwell. Hack: This is oh so simple but oh so brilliant. Invest in a spacious mesh laundry bag and let the sand shake out of its own accord. Problem: You’ve taken all the necessary precautions, but your skin is still feeling parched and in need of some TLC after your fun in the sun. Hack: Fill up an ice cube tray with Aloe Vera gel and pop it into the freezer overnight. Then, having returned home to your holiday cottage after a blissful day on the beach, revive your sun-kissed skin by gently massaging the melting cubes over your glowing regions. Problem: You’ve packed up all your gear, herded in your loved ones, and made it back to the car, but, the steering wheel has also been catching some rays and is unbearably hot to grip. Hack: This is another ‘staying ahead of the game’ heads-up. When you park up ready to unload for your beach day, turn the steering wheel so that your ‘ten to two’ driving position doesn’t get scolded. Problem: On a busy beach it’s easy for youngsters to go off for a dip and return to the shallows disorientated…where did I leave my parents? Hack: Buy a colourful, funky festival flag and stake it to flutter above your beach camp. Not only is it a cool look, it also helps keep the family-tribe together. 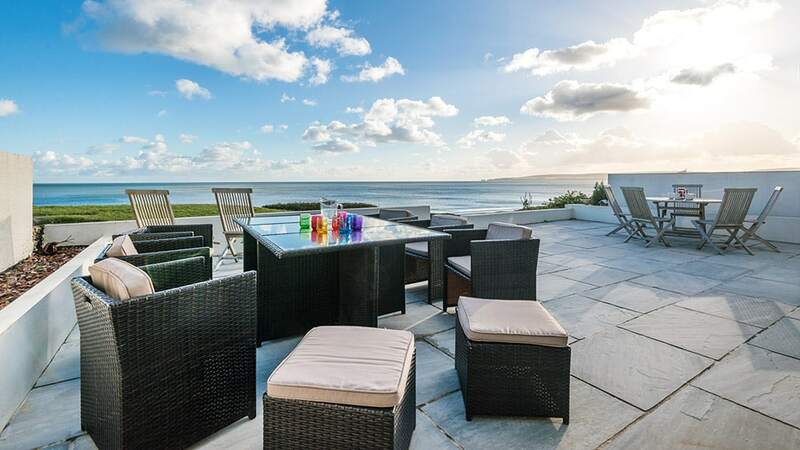 Beach Side is one of Toad Hall’s superb Sandbanks properties with mesmerising ocean views from its sunny terrace, the perfect base from which to explore the rest of this majestic stretch of Dorset coastline. Perched on the seafront in the coastal village of Torcross, 7. The Beach is a stylish apartment with unrivalled views across the sparkling waters of Start Bay. Nestled into a quiet, honeysuckle lane is Beach Cottage, a delightful thatched dwelling in the historic seaside village of Hope Cove where blissful days and starry nights await.